National Space Club and Foundation's 2019 Goddard Trophy Winner is Robert M. Lightfoot, Jr. The National Space Club and Foundation announces that Robert M. Lightfoot, Jr. has won the 2019 Dr. Robert H. Goddard Memorial Trophy in recognition of his exceptional service to this country and its space program. The trophy is the Club's highest honor and is presented annually to the team or individual who has provided leadership in groundbreaking space and aeronautics capability for the United States of America. The award will be presented at the 62nd Annual Robert H. Goddard Memorial Dinner, taking place at the Washington Hilton Hotel on Friday, March 22, 2019. The following is a bio provided by the National Space Club and Foundation of Robert M. Lightfoot, Jr. Following an impressive career spanning 30 years at NASA, Lightfoot retired last April after having served as the Acting Administrator for 15 months, the longest tenure for an acting administrator in the agency's history. Lightfoot joined NASA in 1989 and served as a test engineer, program manager, Marshall Space Flight Center Director, and went on to lead the agency under two presidential administrations. 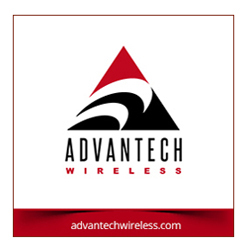 He is currently the president of LSINC Corporation in Huntsville, Alabama. Lightfoot led NASA at a critical time in the history of space — a time with more significant development activity than NASA has seen since Apollo. 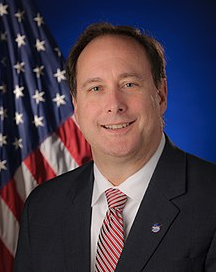 While Acting Administrator, he retained his permanent Chief Operating Officer role as NASA's Associate Administrator, the agency's highest-ranking civil service position. In this capacity, he was responsible for the agency's day-to-day activities and the reporting of senior personnel. In addition, he led seamless engagement between the agency and the White House in setting up the first National Space Council in 25 years, and in the development of Space Policy Directive-1 outlining a Moon-to-Mars focus. In his last public remarks before leaving NASA, he imparted some final guidance to the community on managing risk and increasing decision velocity by sharing the following: "My charge to each of you as I depart is 'strive every day to be a risk leader.' This amazing endeavor will never be without risk, however, remember the benefit — we will change the world."